LILLY offers 4 collections of stunning bridalgowns, a beautiful bridesmaids collection and adorable fashion for flowergirls, communion and christening. Danish house of bridal fashion LILLY has a big and very beautiful portfolio of brands, designed to complement each other and offer a full service to retailers. LILLY has successfully developed four fashion labels within the bridal market. LILLY, PASSIONS by LILLY, DIAMONDS by LILLY and purewhite by LILLY. Each collection is supplementedby a wide collection of matching accessories such as jewellery, veils, shoes, purses, jackets and headwear such as tiaras, curlies or floral hairpieces. Alongside the bridalwear LILLY also has an eveningwear and bridesmaids collection aswell as an adorable collection of fashion for flower girls and pageboys, communion dresses and christening-gowns. ‘LILLY’ is the core collection and offers bestselling, stunning styles with a strong focus on romantic laces and soft tulle skirting. The new bridalfashion from LILLY features lace across the range with flat floral designs and classic Chantilly laces used on sleeves as well as layered over sweetheart and strapless necklines to provide added coverage. Skirts are also wonderfully romantic with full tulle skirts paired with beautiful lacetops along with slimmer figure hugging styles. 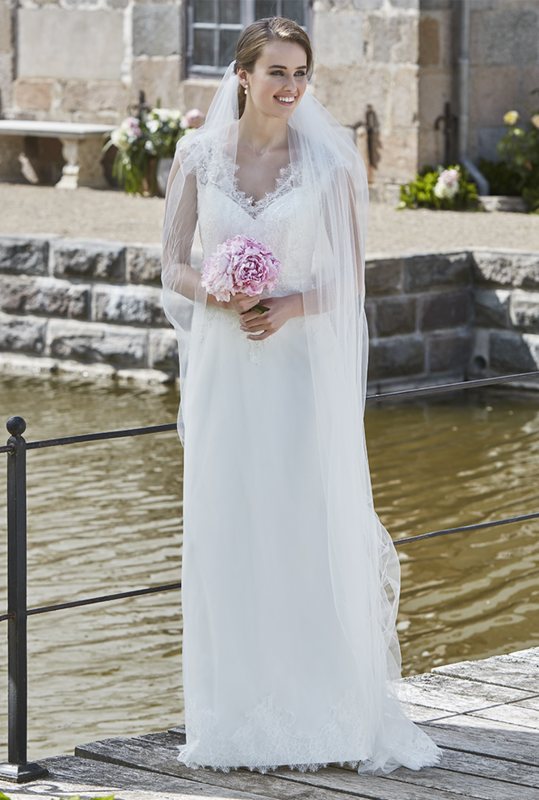 The signature are classic gowns in elegant materials and pretty finishing touches of detail. The collection is supplemented by a wide collection of matching accessories such as jewellery, veils, shoes, purses, jackets and headwear such as tiaras, curlies or floral hairpieces.